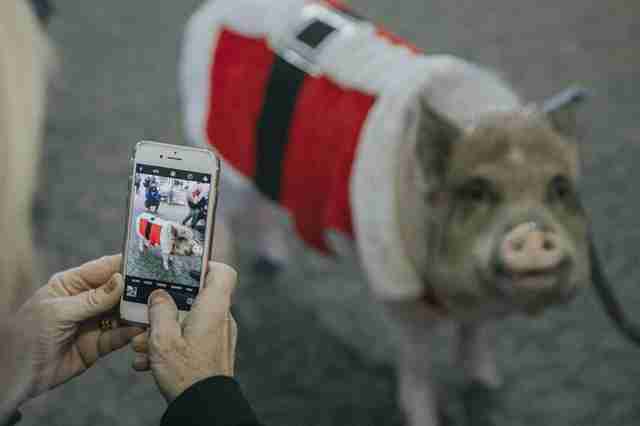 "By the time we take 10 steps, there's already a group of 25 people looking at him because he's a pig on a leash." Sometimes, a holiday can be, well, a hell of a day. Just ask someone who gets nervous about getting on a plane how they feel when the rush of festive flyers has delayed their flight. Some airports unleash dogs on holiday travelers, aiming to cheer them up with cuddles and the kind of reassurances only a whirring tail can bring. But Bacon Bits doesn't have that kind of tail. Or even a soft downy coat that fingers can get lost in. 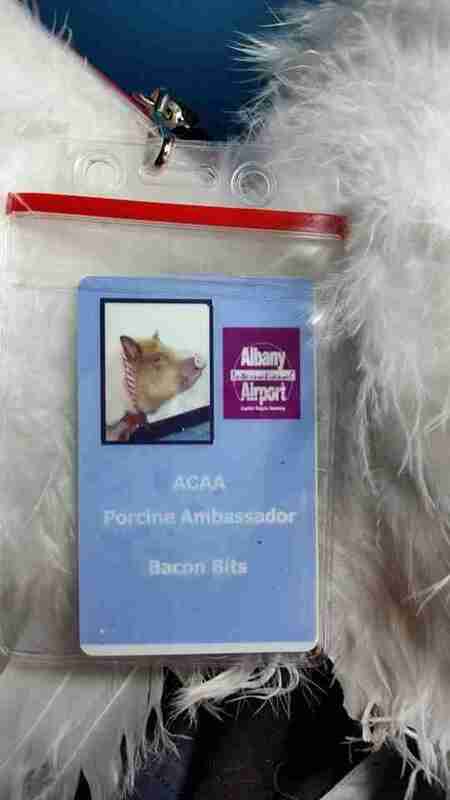 Unlike his canine colleagues - he's among a troop of comfort animals deployed at the Albany International Airport in New York this holiday season - Bacon Bits is a pig. His job? Keep those frazzled festive flyers smiling. "We just walk around and don't get to walk far because by the time we take 10 steps, there's already a group of 25 people looking at him because he's a pig on a leash," Hutchinson adds. At the same time, Bacon Bits is opening doors for others of his kind. 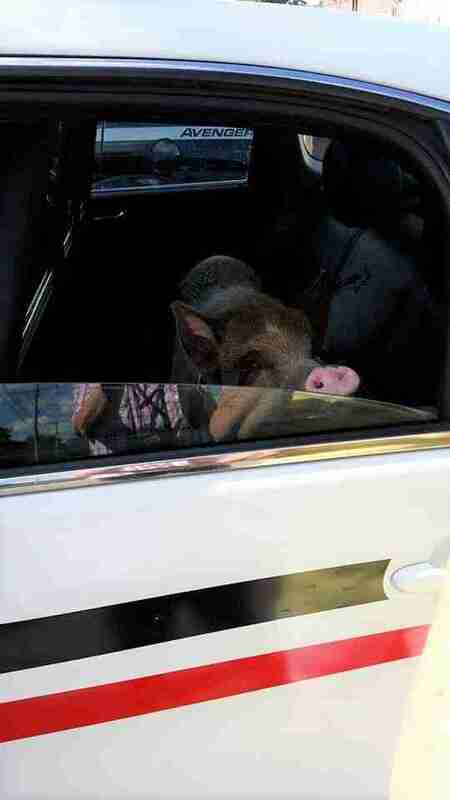 So far, the only pig known to do similar work at airports is LiLou, who patrols the San Francisco International Airport. As a pig working in a dog's world, he doesn't have as many options in the service industry. 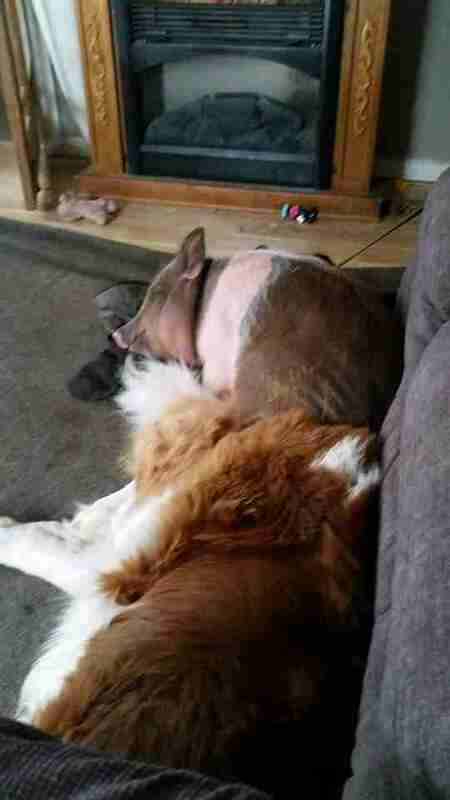 Compared to dogs, comfort pigs are are relatively rare. 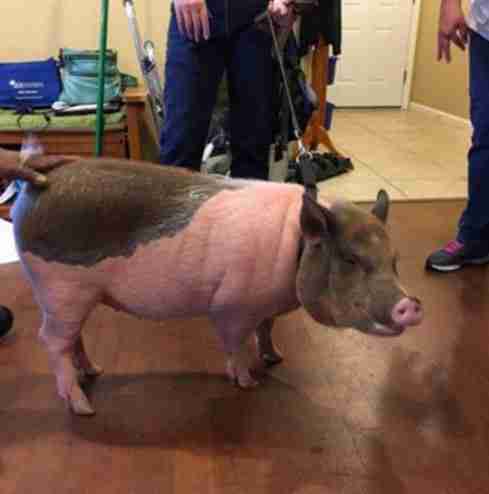 For his part, Bacon Bits is already a very busy pig, touring some 65 nursing homes in 10 counties in New York state. But he always has more to give. Hutchinson should know. After all, the first heart this pig worked a miracle on was her own. 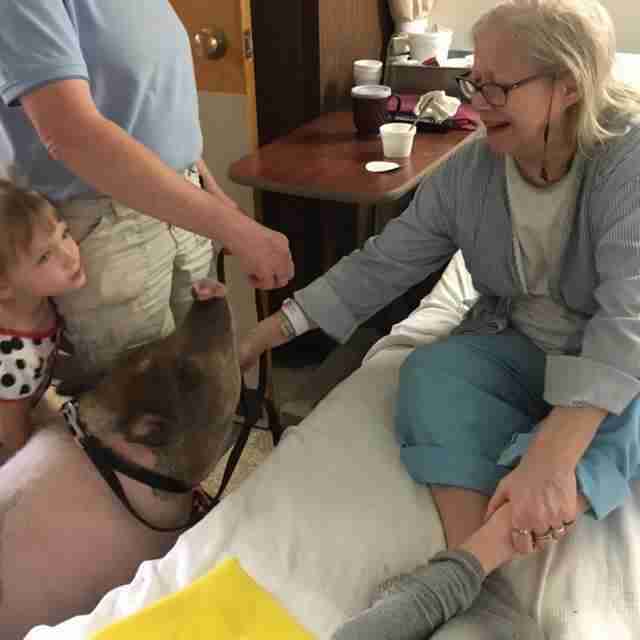 After Hutchinson had a few bouts with heart problems, her friends decided to get Hutchinson a pig. Not only is Hutchinson's heart trouble behind her today, but Bacon Bits has gone on to offer hundreds the same holiday prescription: A full heart is a healthy heart. Follow Bacon Bits' adventures on Facebook.